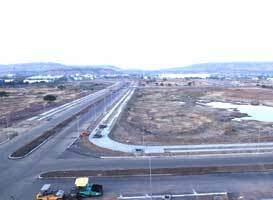 Jalna, a trading town near Aurangabad, is ready for its first shopping mall, promoted by K10 Group. The group has beckoned mall experts, Beyond Squarefeet, to plan this 2,25,000 sq ft mixed-use project spread over four levels of retail and a 3-star business hotel. Strategically located, this project will cater to the changing shopping habits and lifestyle of Jalnaites. And, Beyond Square-feet will conceptualise, plan, market and lease the mall.